One of the early voting options is to vote by mail, using an absentee ballot, prior to Election Day. Voting by mail is easy – and you can start as early as 120 days prior to an election. Beginning 29 days before the election absentee ballots will be mailed out with 24 hours after receiving your absentee ballot request. For voters not located in the United States (such as military personnel) we mail beginning 45 days before the election. Follow the instructions below to request your absentee ballot. Follow these instructions once you get your ballot in the mail. 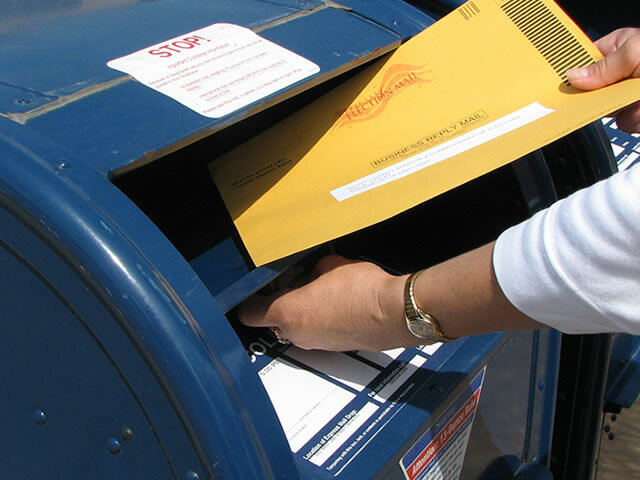 This page contains absentee ballot report information that may be important for candidates or their campaigns.